India Yamaha Motor Pvt Ltd today, 24th of January, 2017 launched the much awaited FZ25 to its successful and popular FZ series. 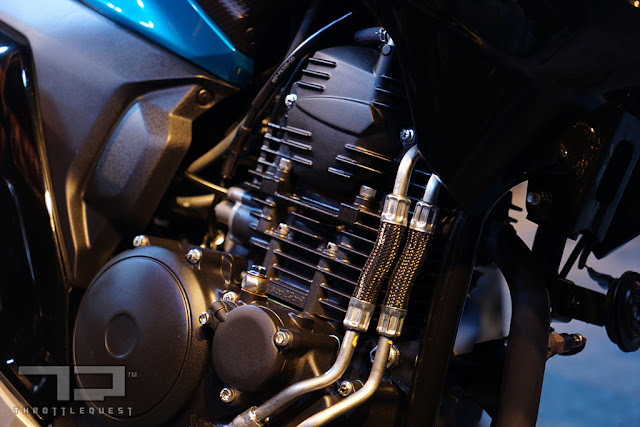 The new model FZ25 has been developped with a newly designed air-cooled 249cc, 4 stroke, SOHC, 2V, single cylinder, high torque, fuel injected engine on a light weight diamond frame. 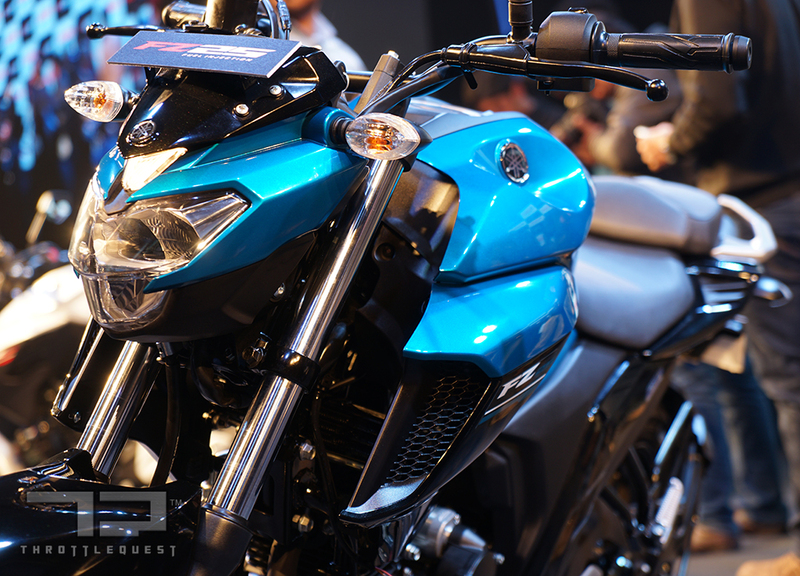 These features and much more will establish the FZ25 as a "Powerful mid class street fighter" for the next FZ World. It is targeted at the biking enthusiasts in the age group of 20s and early 30s. 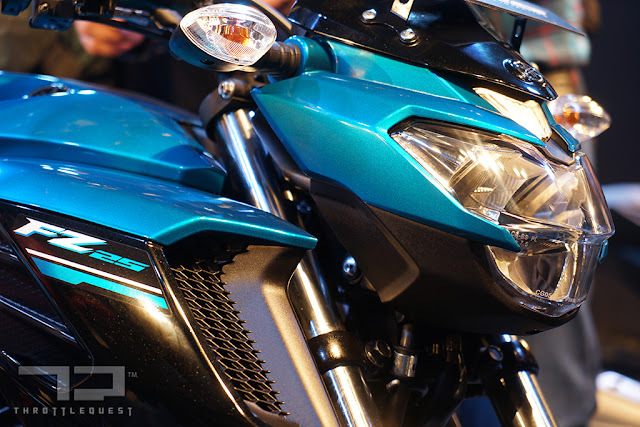 It is available in three colours, "Ballistic Blue", "Warrior White" and "Knight Black". 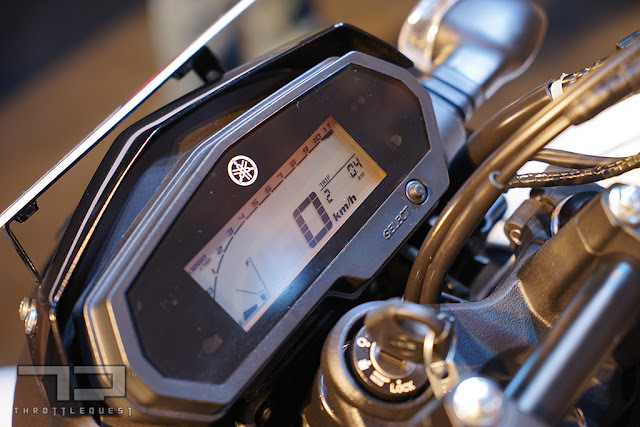 Those are the words and stats that Yamaha gave us. What we interpret out of it is what makes the business of writing about motorcycles rather interesting! There is some more information too, from Yamaha of course, which we will gradually disclose to you all in good time. 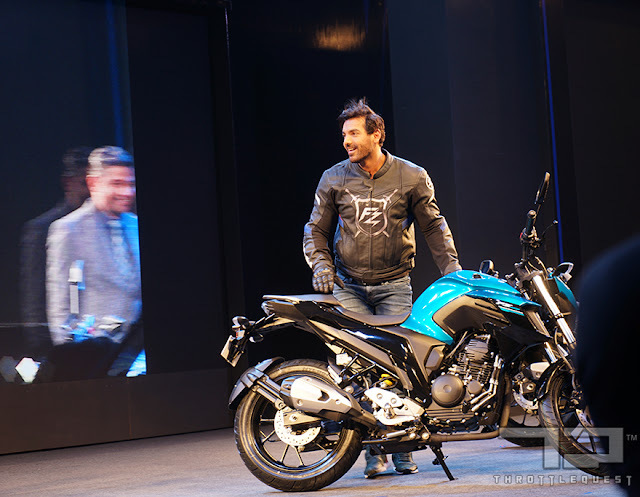 The charismatic brand ambassador who rides solo! According to the Yamaha slide show, there was one aspect that looked rather interesting to me. It said, "Show off" value. 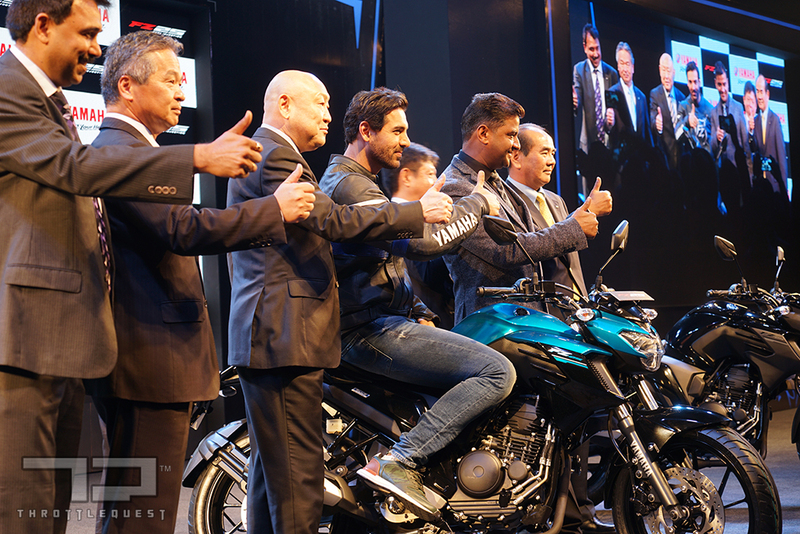 So finally even Yamaha admits that motorcycles are of show off value. Now here I am in no way doubting the quality aspect of Yamaha. I remember how 15 years ago nearly every bike that Yamaha released in India, they immediately homologated it for racing and rallies contrary to other major manufacturers like Bajaj. So this "show off" tag came as a surprise to me who appreciated the "true biking" tag that I associated with Yamaha. Next thing that drew my attention was that they are targeting the people who are graduating upwards from the 150cc segment. And they made no qualms about publicly announcing names like Pulsar220, ZMR and so on. Fair enough. 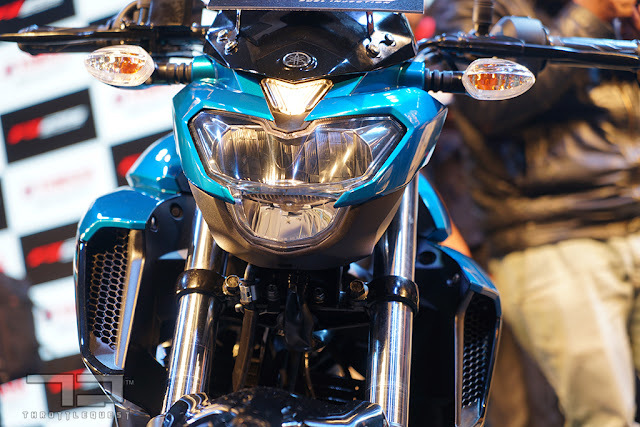 But is not the Pulsar220 a decade old motorcycle already? Are they really competing with these motorcycles? I think that Yamaha need not do this. But I guess that we are truly running out of ideas now! 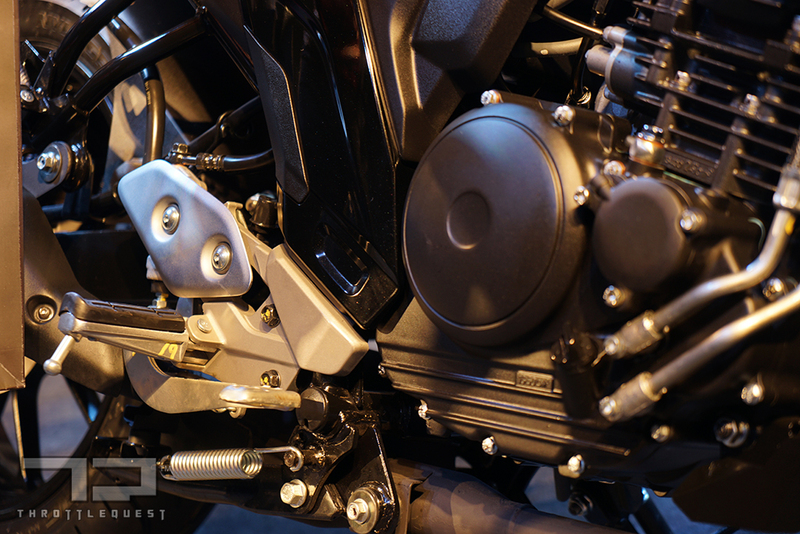 On the question of ABS, Yamaha had this to say: They were sticking to "Industry standards". Really Yamaha! Do you really want to stick to the "Industry standards"? Or do you want to "set" industry standards? Because in this segment according to "Industry standards", no bike has ABS. Someone forgot to remind them that CBR250 has an ABS option. So does the RS200 from Bajaj. And the Apache200 4v. I guess these are "Industry standards". Or do they have some other Industry Standard in mind? I am a little confused here. 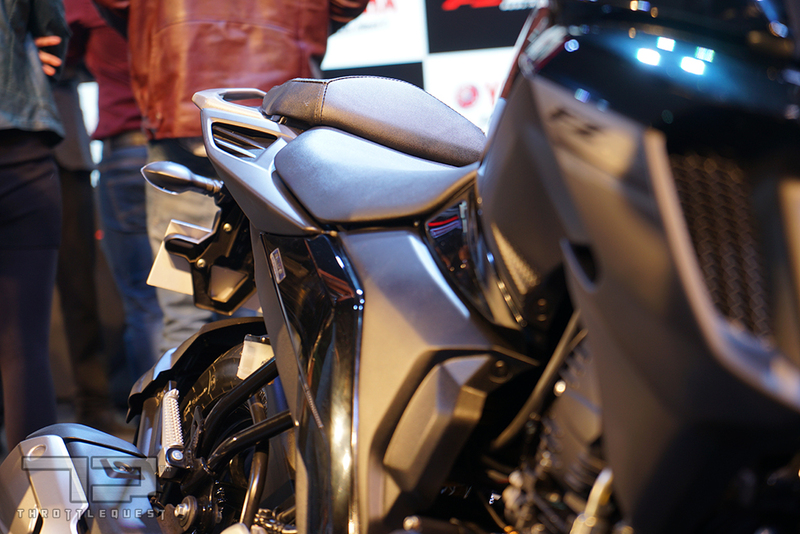 Another very big juicy aspect of the FZ25 was the weight. Oil and fuel filled in, the bike weighs in at a paltry 148 kilos. I could take out the Yamaha engineers out on dinner just on that aspect. Even if the Bhp figures fall somewhat short of expectations. But then what is written on paper and what actually translate on ground as far as Bhp goes is something that will finally speak its true worth when the machine is put on tarmac. Looks: Really good, beefy muscular with every inch living up to the proclaimed "show off" factor! LEDs everywhere, front and back, but not the blinkers. Quality: Build quality looks and feels like a Yamaha. Switchgear looks solid. Cable management is top class. 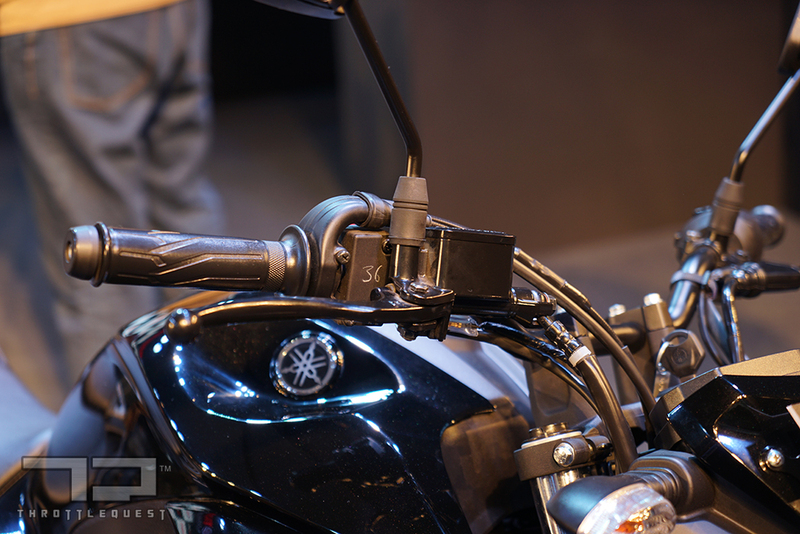 Cable management from Yamaha is something that I really love irrespective of the segment. Seating: Sporty. Looks good standing still while you are sitting on it. I guess that is what they designed it for... to look good and macho. 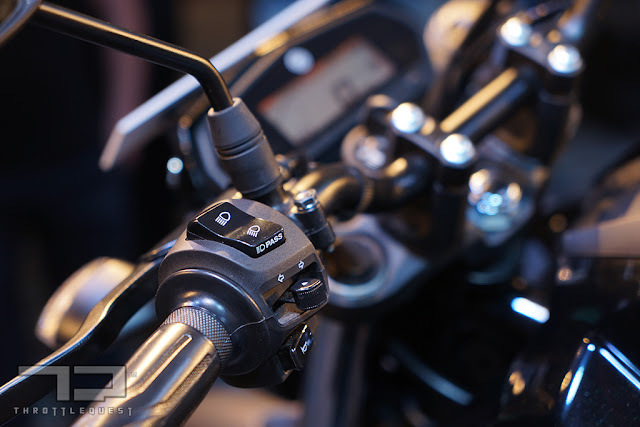 How it would translate to while you are riding it is another aspect that we will look into later when the bike comes to town in another two months. Pricing: This is the juiciest bit. At INR1,19,500 this bike will be one to beat. We feel that the FZ25 is going to become a hot selling motorcycle. Yamaha is projecting sales of 4.5K a month. We do not think that is overambitious. I think that they have got it right. Even if they do not get 4.5K initially, I do feel that by the time they hit the sweet spot, they might even go beyond it. 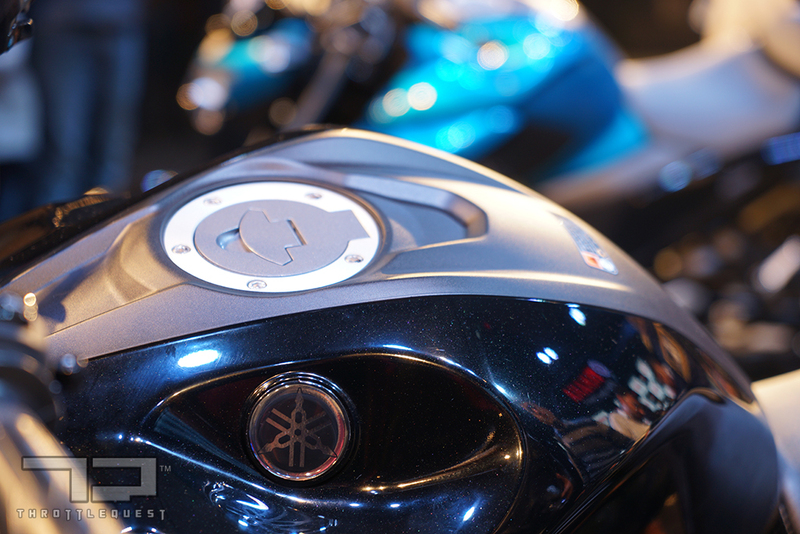 From the first impressions, I feel that it is a great product that Yamaha has brought out. For this price, it should get the sales charts scorching by the time Dussehra and Diwali come around. It would definitely appeal to the "just-out-of-teens-new-licence-hormone-raging" youths and this could well be their choice of machine to go chase skirts and impress upon them! Engine: 249cc, Single cylinder, FI, air cooled with fins and oil cooler. Frame: Diamond type with engine being a stressed member. 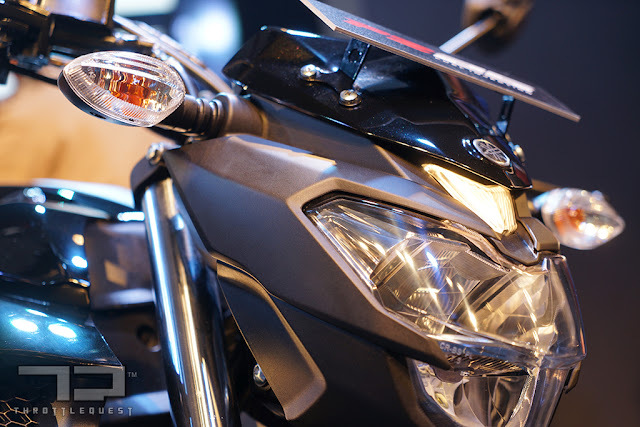 FZ25 Specifications that are of lesser or no interest to you! There is even more stuff but you would be even less interested in it. Hence we are not even mentioning it here. (Ex: gear ratios, bore and stroke, electricals etc.). If you want to know more, please write to us and we would be glad to answer your questions. Beefy (that word has limited usage these days) muscular tank with wonderful cable management. The engine sounds quite throaty. It looks good no doubt! Love those fly catchers! They lend character! Pass Switch. Trying to recall who does it share this part with. Interesting rear end from the front! Text and photos by Krishnendu (KEN). Text written are purely the opinions of the author and he takes full responsibility for what he says. Posted by Krishnendu, aka Ken. Item Reviewed: Yamaha FZ25 Launch: Specifications, 2017 Description: Rating: 5 Reviewed By: Krishnendu, aka Ken.